Power Boards Pty Ltd. from Australia is around since 2011 with its electric rescue board and E-SUPs and started to sell the first boards in 2013. 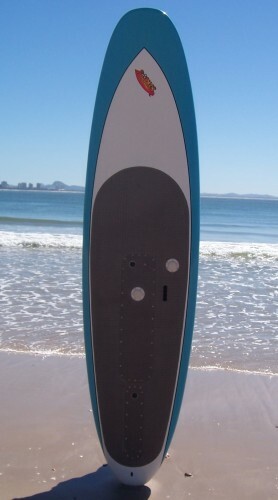 They also have electric wave surfboards – surfboards which help you to catch the wave with an electric motor. As a smaller Australian company it has been hard to get recognised overseas and they are mainly active in Australia. Given that they are around for a while the Power Boards are available for sale now, but you should check for shipping and taxes with them first if you want to import the boards overseas. They call their electric wave surfboard electric surfboards, but it is a different category compared too what we here review as electric surfboards. Check our earlier article behind the link. This is why we focus on their E-SUPs and electric rescue board. E-SUPs have come in 3 lengths of 305 cm, 320 cm and 350 cm und the weight is between 15 and 19 kg. 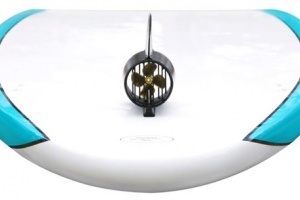 The propeller fin is called Fin Drive System and is supposed to deliver speeds of 7 – 11 km/h. The range is 35 minutes at full speed. The prices in Australia is ranging from 5,550 -5,700 AUD incl. GST which is around 3,500 EUR. Again exact pricing should be discussed with the Power Boards team for international shipping. 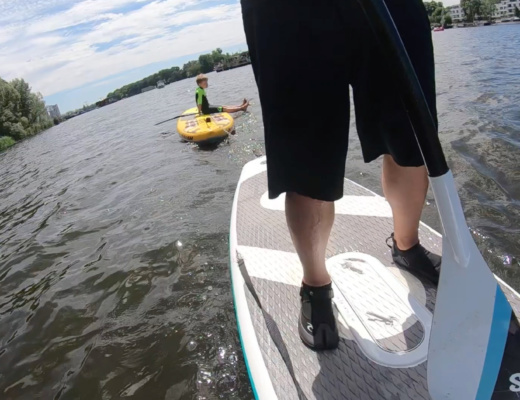 Power Boards is offering their Fin Drive System for license in the US, which means you can license this technology to build your own commercial electric SUP. 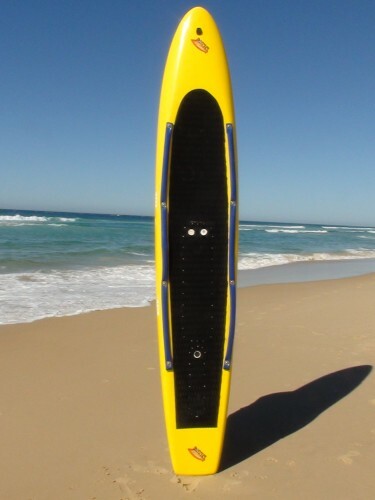 The electric rescue board is selling for 5,900 AUD incl. GST in Australia. If you order from Power Boards you have to pay a 100 AUD deposit and rest will be due 2 weeks before shipment. The expected shipping time is between 4 to 6 weeks. We are currently in discussions with the Power Board Team to get a sample for a full review.